Looking for a unique gift box for Valentine's Day for that special someone? Our Emoji theme is perfect! 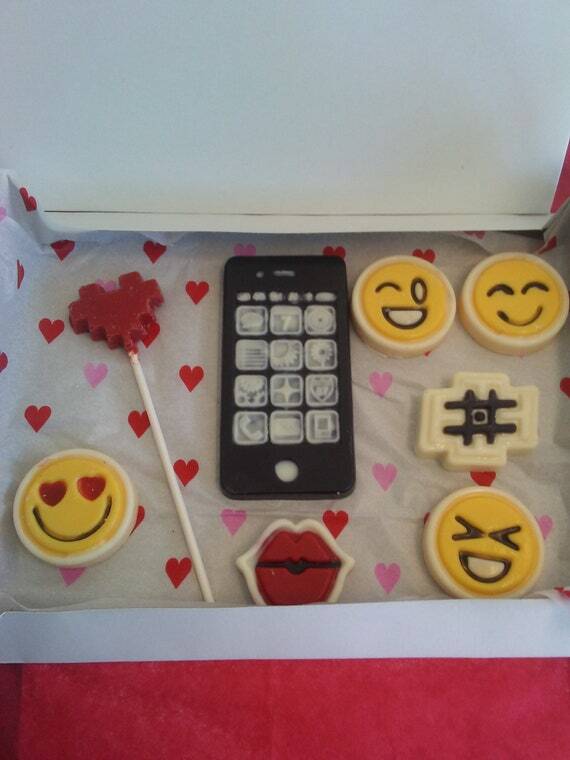 Included in this is a set of 6 Emoji candies made of vanilla flavor candy, a cell phone candy and a heart shaped candy. Each wrapped individually for freshness and packed in box with Valentine tissue paper. I can add additional items to personalize if you like. Shipping costs are based on furthest distance, if actual shipping cost is less I will refund.